If you’re a full-time student at school, college or university and aged 12 or over, you can apply for a student card with ISIC. 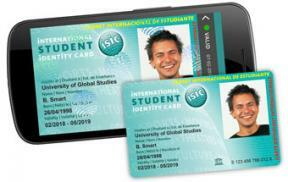 ISIC offers both virtual and plastic cards, allowing students around the world to instantly prove their official student status and access over 150,000 student discounts and offers worldwide. Not a student? Don’t worry! 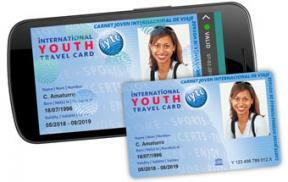 If you are 30 years old or younger you are eligible for an International Youth Travel card (IYTC). With an IYTC card, you’re still part of the ISIC global community and can take advantage of thousands of similar benefits and discounts that the ISIC student card offers. *The ISIC Global Office allows individual issuers to reduce the eligibility of IYTC sales in their market to 26 years and younger, due to the fact that many airline discounts for young people have an age limit of 26 years. If you’re working as a full-time teacher or professor, you can enjoy teacher discounts with the International Teacher Identity Card (ITIC). The teacher card (ITIC) is an internationally recognised ID card that offers numerous discounts and savings, at home and abroad. Leaving to study abroad soon? If you are leaving to study abroad soon, please ensure there is enough time to deliver your card before you leave. Ordering your card online can take up to 4 weeks for delivery depending on the postal system in your country. Alternatively, if you have limited time, you can order your card in the country of study after you arrive, just be sure to take the necessary documents with you.